Contouring has been all the rage for at least a year now, but I resisted the urge to purchase a contour palette, until now. The thing is that I'm really not into the heavy, should I say unnatural, contouring trend that has been thriving lately. Sorry Instagram, but I really don't like Kim Kardashian's style, neither the drawn on brows, nor the sharply sculpted facial features. Here, I said it. 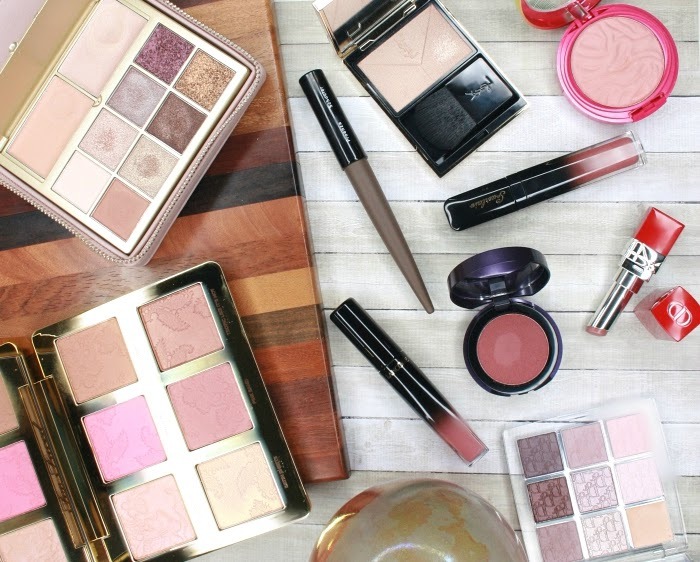 I have, however, used a very light and simplified version of contouring for years, by sweeping a neutral bronzer or beige blush just under my cheekbones to add definition. 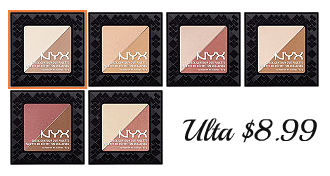 When I saw that NYX had released the new Cheek Contour Duo Palette, I thought, hey, that could actually work for me. 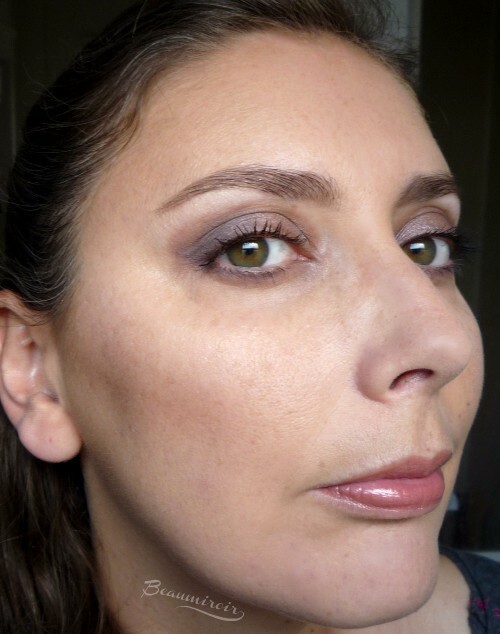 It's made for cheeks, not trying to pressure me into doing crazy painting on my nose, chin or forehead, and the shade Double Date looked like a perfect pair with (what I thought would be) a neutral to cool brown for contour and an ivory highlighter. 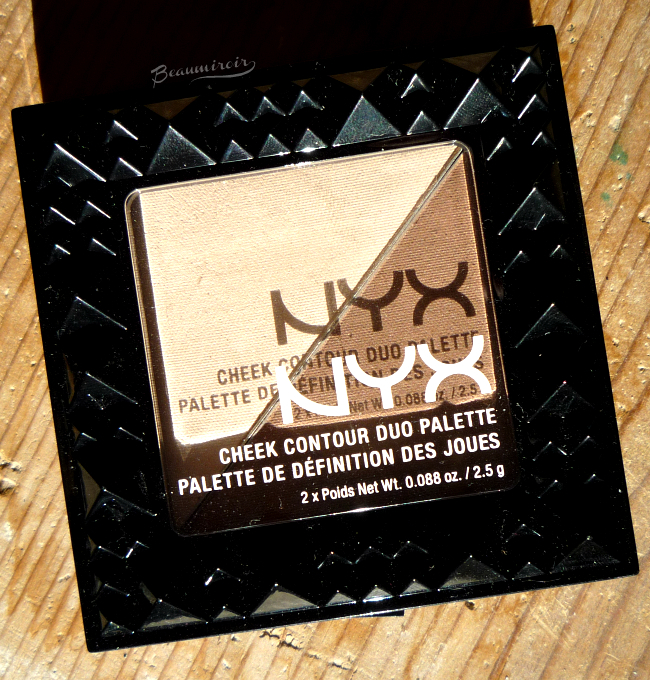 I seemed like the perfect compact and affordable solution for defined cheeks. Let's find out how it worked out for me! - The packaging is compact, sturdy, functional and the black studded lid makes it a bit edgy and quite unique. - At $8.99 before discounts or sales, it's really an affordable way to test contouring techniques or get both contour and highlighter in the same compact! 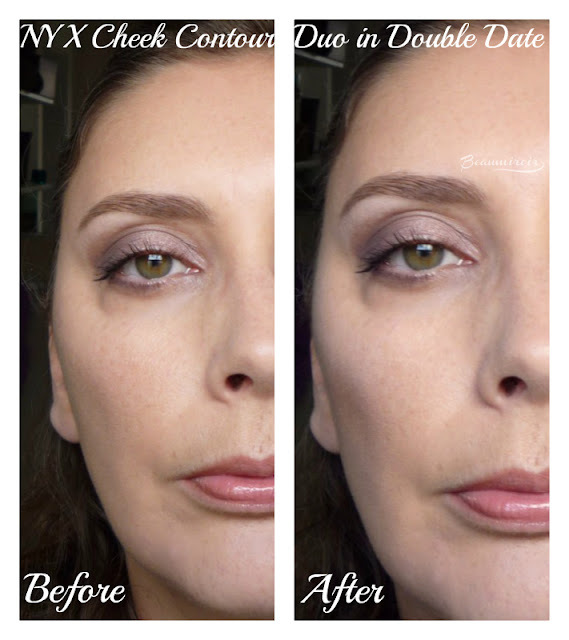 - The contour shade is both nicely pigmented and quite easy to blend, so it visibly sculpts the cheekbones and slims the face but doesn't leave you with a harsh brown stripe on your cheek. - Both powders feel stiff and dry. You can really tell that's drugstore makeup with the texture. 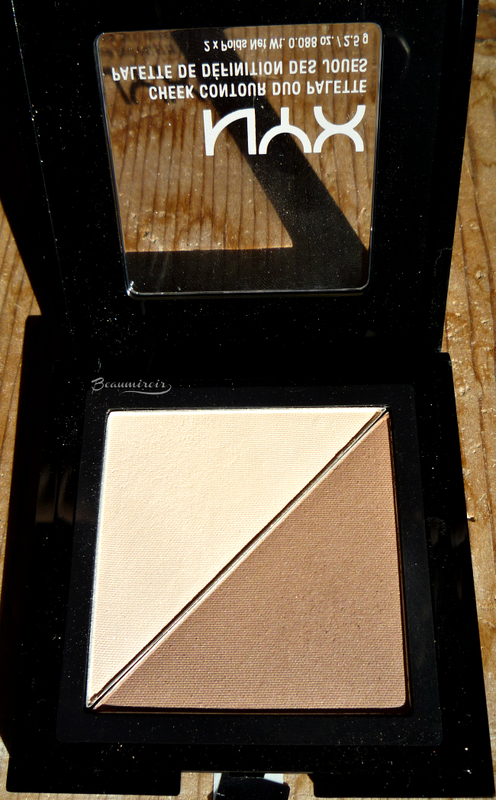 - Although the contour shade looks pretty neutral in the pan, it is actually quite warm. It even turns into a rosy warm brown on my face, rather than creating the cool to neutral natural shadow I was hoping for. - The highlight is a bit of a mess. 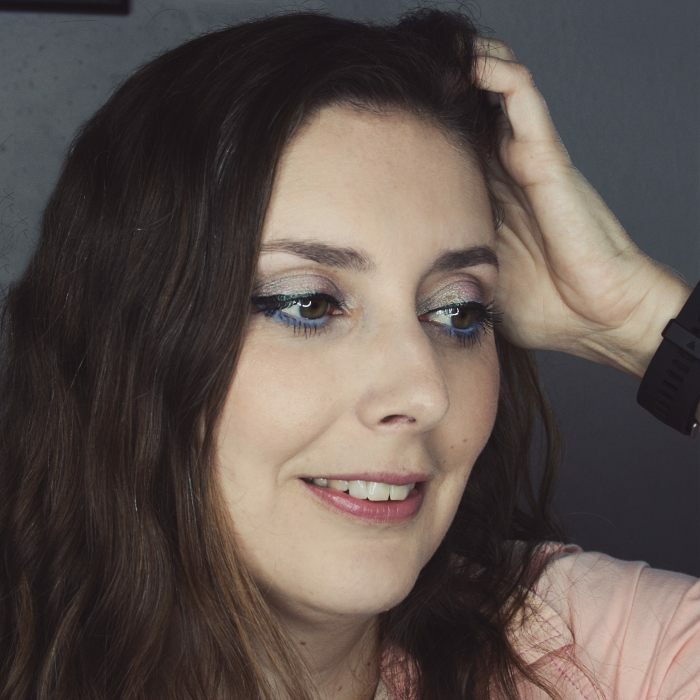 First it's really powdery, and because it's considerably lighter than my skin and quite well pigmented, it ends up looking quite chalky and dry on my cheeks. It even makes the tiny baby hair on my face visible! To make things worse, although it looks barely shimmery in the pan, it actually contains rather large, visible sparkles. 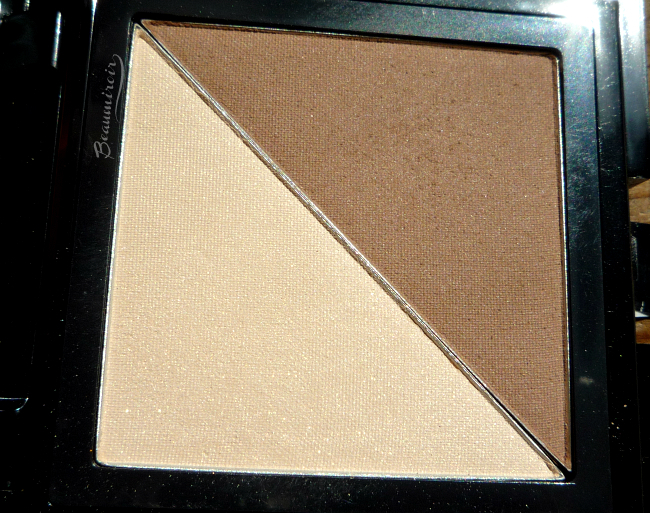 This is not the kind of highlighter that creates a subtle, flattering glow. It just makes my cheekbones sparkly and chalky. 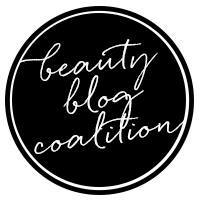 See how rosy the contour looks? 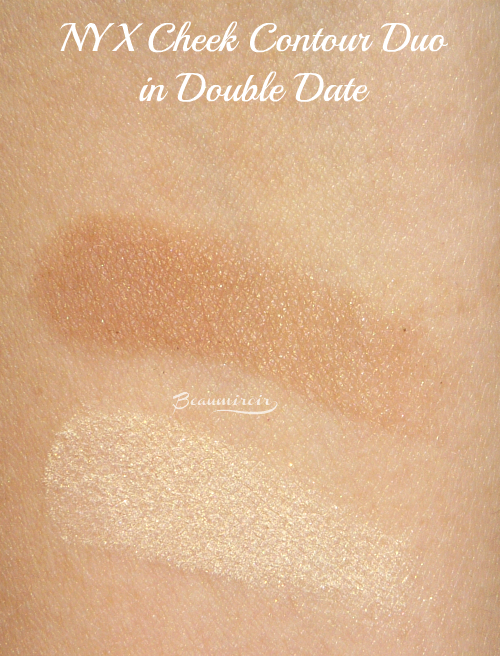 With Double Date you really get what you pay for: an okay contour in a color that's not true to pan, and a very mediocre highlighter. With enough blending I manage to make the duo look acceptable enough that I can wear it in public, but this is not a product I can recommend. The Cheek Contour Duo comes in 5 other shades, so I'd look into one of them if you want to try it.